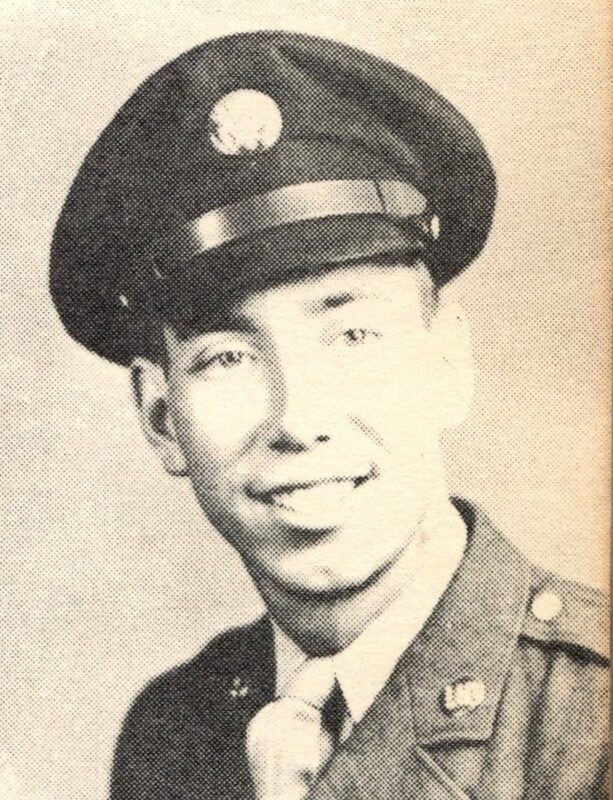 Staff Sergeant Anderson, Russell Lee (38433818) was born 23 September 1922 in Hamilton, Texas. He was the son of Reuben L. and Euphia Ann (Brumett) Anderson of Fairy, Texas. His father was a farmer and the family lived on Hamilton Road through the 1930-40s. He graduated from Fairy High School. In June of 1942 Anderson was working at Southern Aircraft in Garland, and lived on North 7th Street in that city. Southern made B-24 noses and tail gun turrets during the war and his work there may have contributed to his later position as tail gunner on a B-17 Flying Fortress. Anderson enlisted in the Army Air Corps 11 March 1943 and trained at Love Field, Dallas, Texas, Gainesville, Florida and Arizona. Anderson was sent overseas and assigned to the 338th Bomb Squadron, 96th Bomb Group (Heavy) of the 45th Combat Bomb Wing, 8th Air Force, operating from Snetterton Heath, England from 12 June 1943 to 12 December 1945. He made the rank of Staff Sergeant while in England. Anderson served as armor/tail gunner aboard the B-17G, 44-8109 (no nickname known), piloted by 1st Lieutenant Floyd B. Whaley Jr.
1. 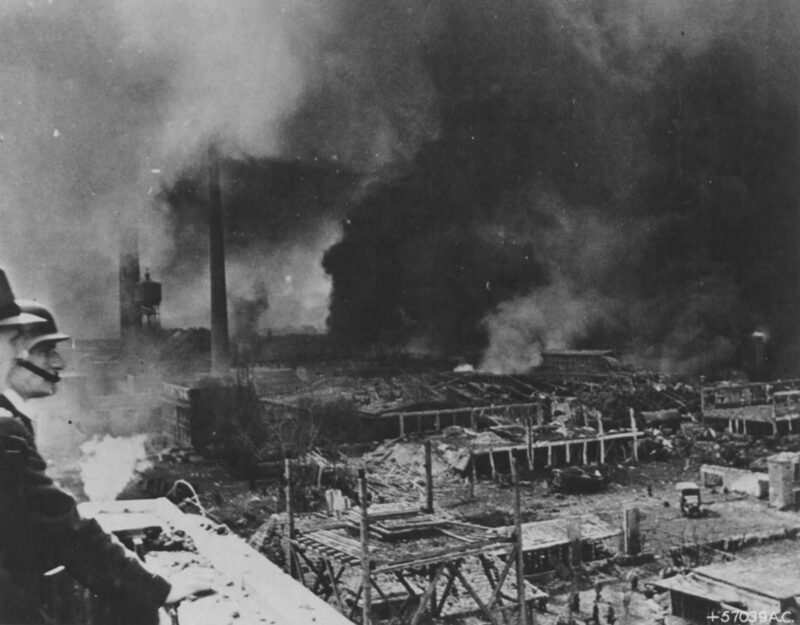 Mission 647, 25 September 44: bomb synthetic oil plant at Ludwigshafen/Oppau. 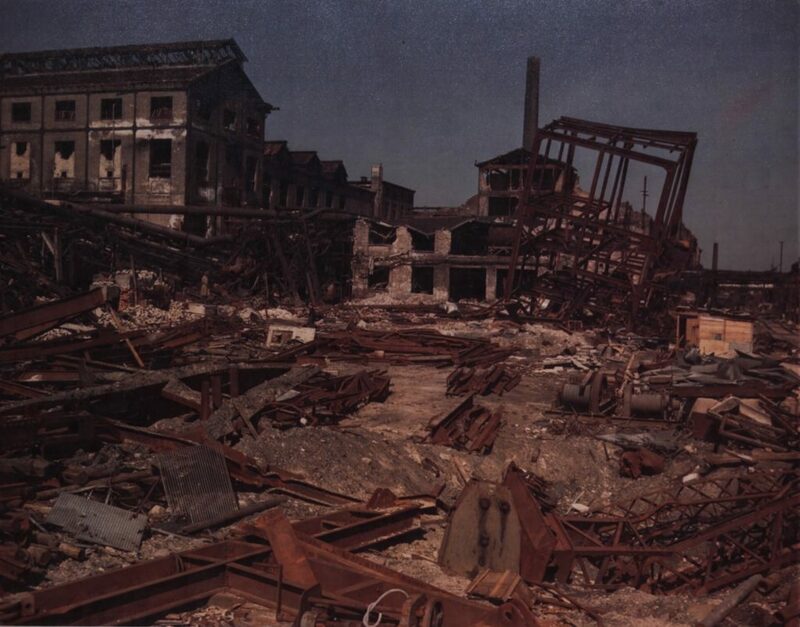 Post bombing damage at Ludwigshafen chemical and oil factory. 2. Mission 648, 26 September 44: bomb armored vehicle factories at Bremen. 3. 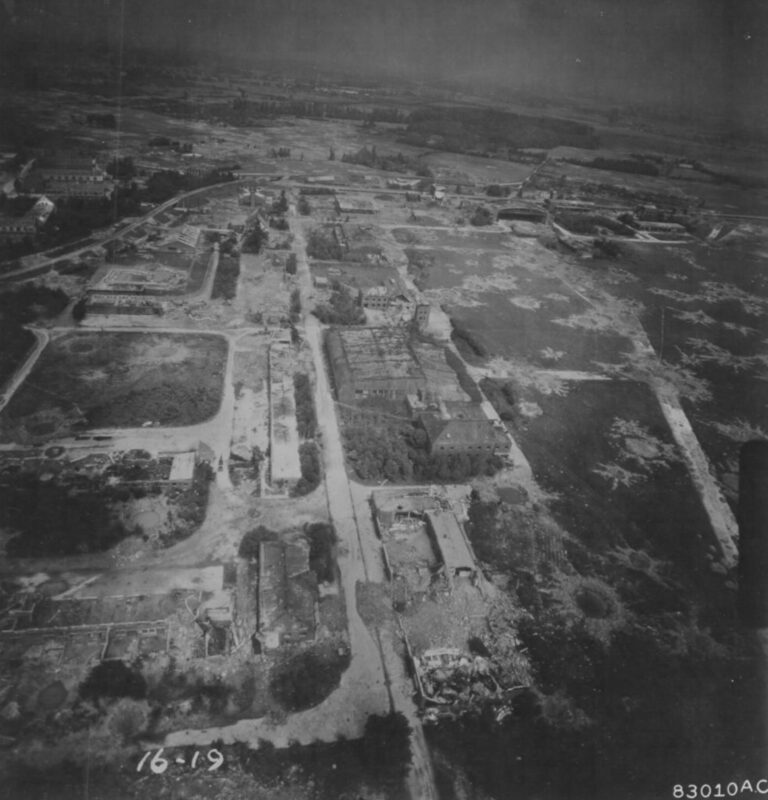 Mission 65, 30 September 44: bomb Bielefeld marshaling yard. 4. 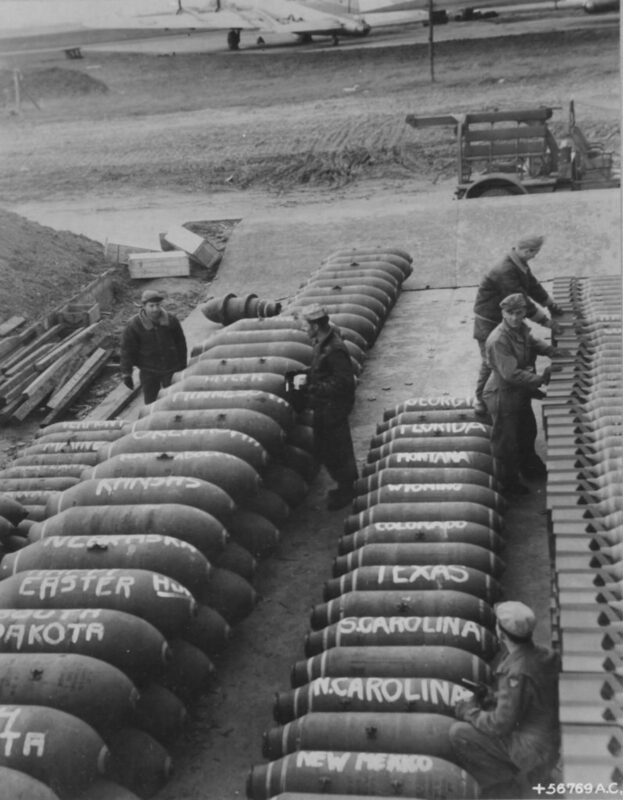 Mission 658, 2 October 44: bomb the Bettenhausen ordnance depot at Kassel. 5. Unknown, 3 October 44: targets of opportunity at Kitingen. 6. Mission 665, 5 October 44: bomb Munster/Loddenheide Airfield. 7. Mission 667, 6 October 44: munitions dump at Berlin/Spandau, aircraft factories at Berlin/Spandau, tank factory at Berlin/Tegel. 8. 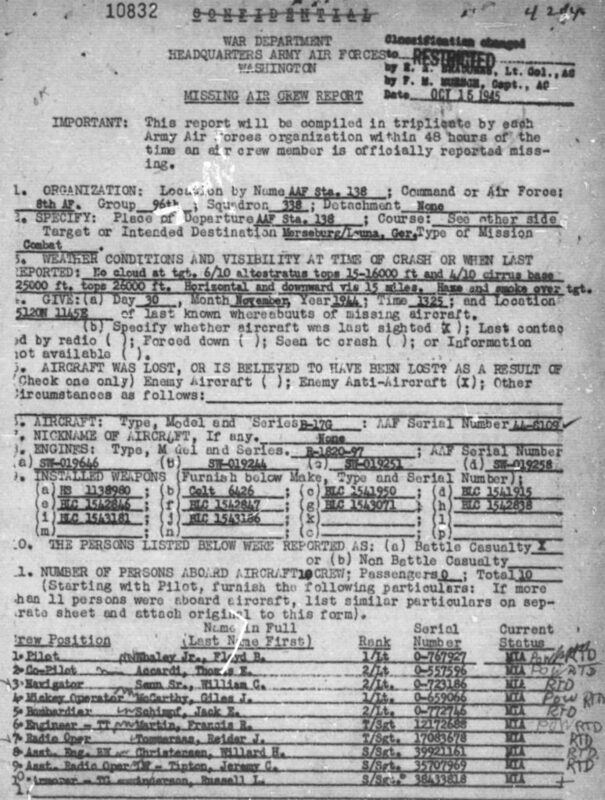 Mission 668, 7 October 44: drop leaflets at Brussels. 9. 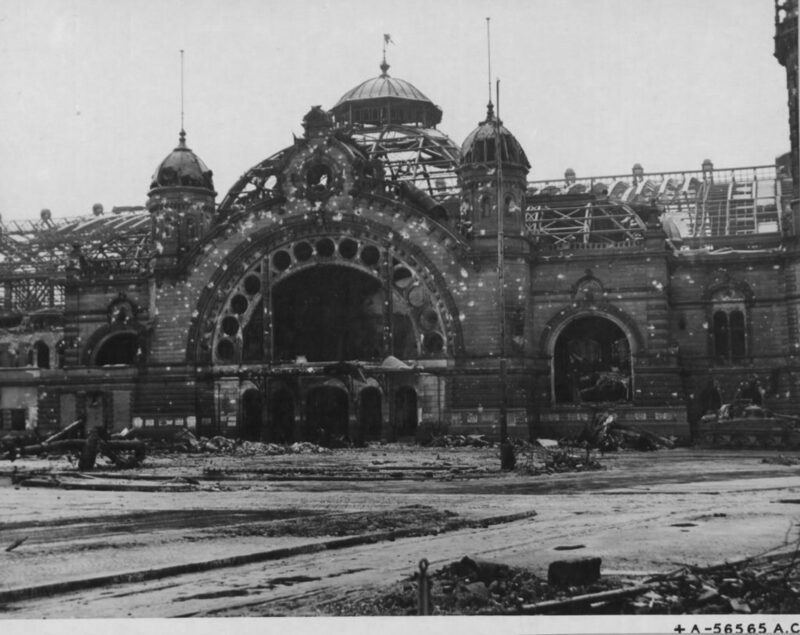 Mission 678, 12 October 44:bomb aviation industries at Bremen. 10. 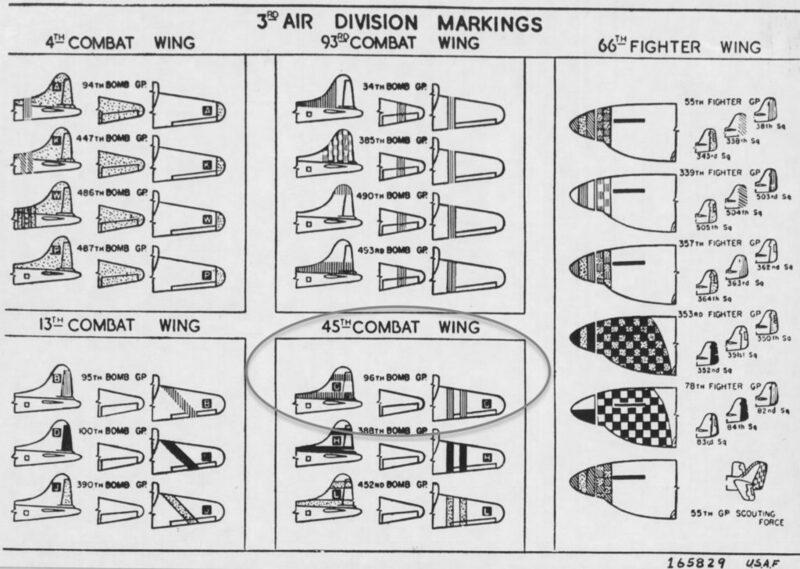 Mission 681, 17 October 44: bomb marshaling yards at Cologne/Eifeltor, Cologne/Gremberg. 11. Mission 682, 18 October 44: bomb Kassel/Mittefeld. 12. 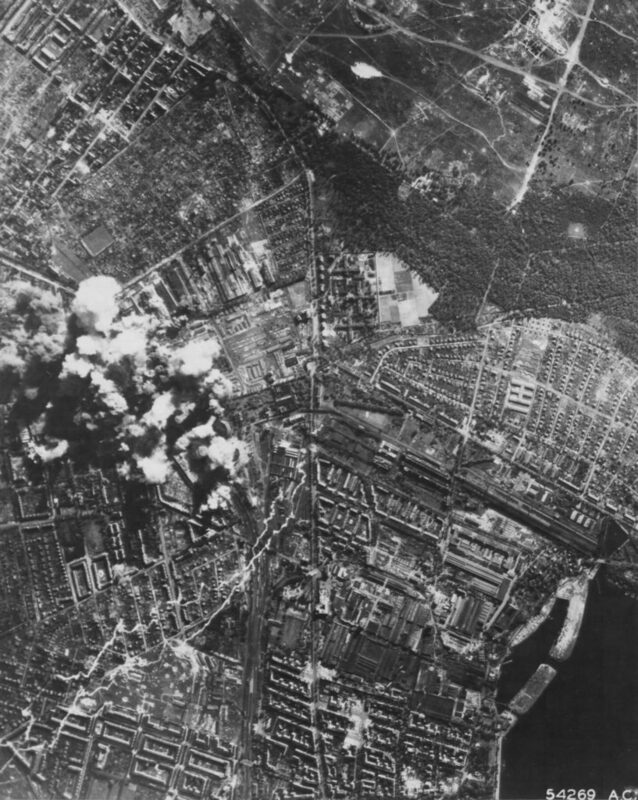 Mission 702, 5 November 44: bomb industrial area at Ludwigshafen. 13. Mission 720, 21 November 44: bomb secondary target, marshaling yard at Osnabruk. 14. Mission 731, 30 November 44: Leuna oil plant at Merseburg/Lutzkendorf. During the month of November 1944, the 8th Air Force struck at the oil industry (the Oil Campaign) that made the German war machine run. 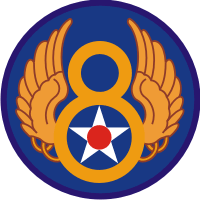 The 8th flew thirteen days of missions in all types of weather. 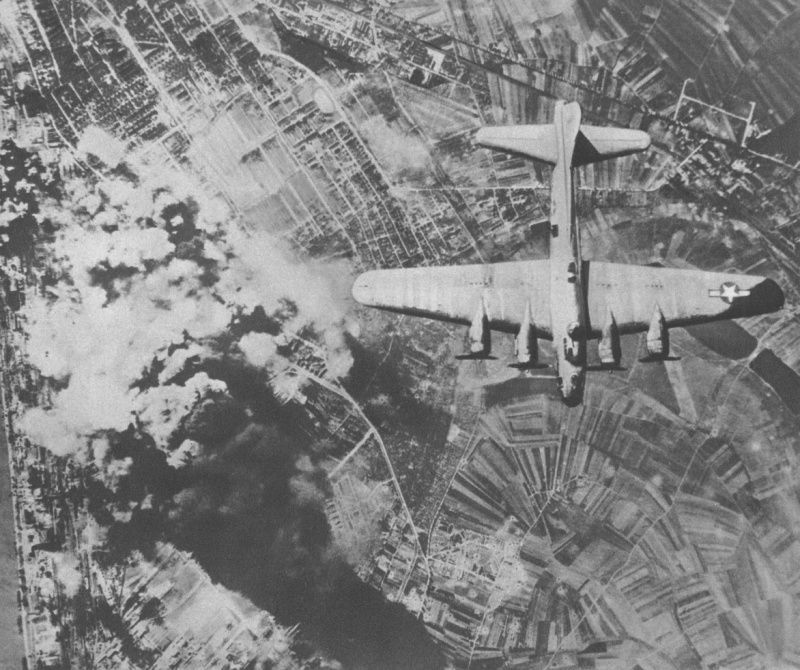 On the final mission day of the month, 419 tons of bombs fell on Lützkendorf. The ten-man crew of Lt. Whaley’s plane contributed to the tonnage that hit Lützkendorf, a town and its oil refineries approximately two miles east of Mücheln. 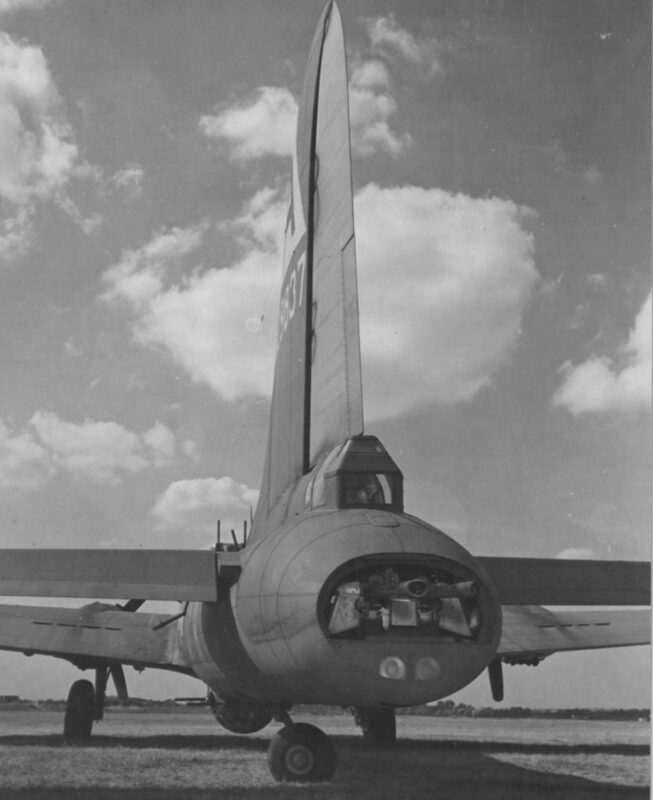 Typical bomb loads for a B-17 ranged from 4000-pounds for long-range to 8000-pounds for long-range missions. The B-17G Super Fortress, serial number 44-9109, was built in 1944 and did not arrive in Snetterton until 8 November. On the fatal mission of 30 November, Whaley was piloting the plane. He was single and from Oil City, Pennsylvania. Whaley enlisted in the Army the day after Pearl Harbor was attacked. 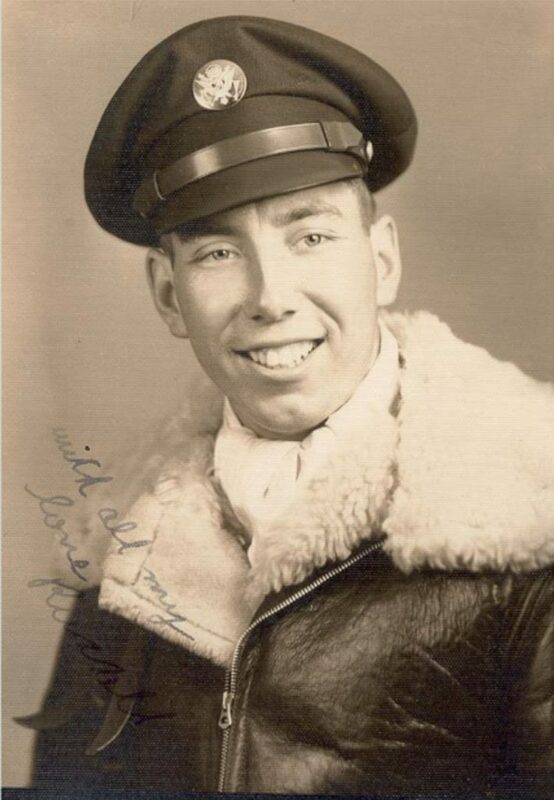 Whaley’s crew that flight consisted of Co-pilot, 2nd Lt. Thomas E. Accardi, who was assigned to the unit in September. Accardi was from Lyndhurst, New Jersey and single at the time of the sortie over Lützkendorf. The radar bombsight operator (Mickey Operator) was 1st Lt. Giles J. McCarthy of Cold Springs, Kentucky. He had a wife back home. 2nd Lt. William C. Senn Jr. was from Shannon Castle, Pennsylvania and also married. He was performing duties as navigator on the flight. The bombardier was 2nd Lt. Jack E. Schimpf from Chicago, Illinois. The oldest of eight children, Schimpf was unmarried before the war. Tech Sergeant Francis R. Martin was married and a resident of Logan, Utah. Martin was performing duties as flight engineer and top turret gunner. Tech Sergeant Reider J. Tommeras was the radio operator, probably a daunting job for a first-generation American. Tommeras arrived from Norway in 1924 with his parents and settled in Mazeppa, Minnesota. He was married and the oldest member of the crew. The assistant engineer, and right waist gunner, was Staff Sergeant Willard H. Christensen from Brigham City, Utah. He was not married before the war. Acting as the assistant radio operator and left waist gunner was Staff Sergeant Jeremy C. Tipton of Danville, Kentucky. The weather for the day was clear with a fifteen-mile visibility horizontally and downward. 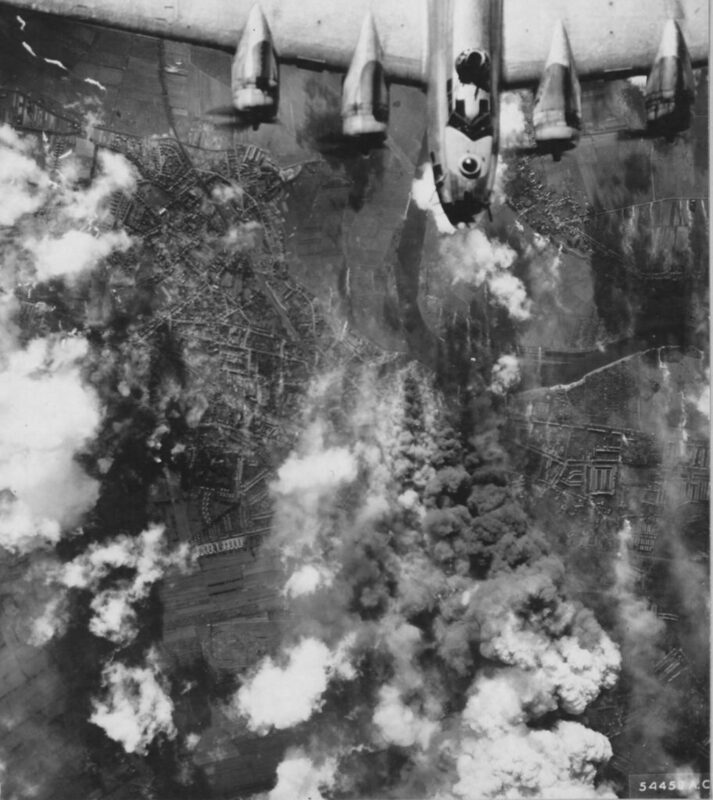 Whaley’s bomber made it over the target and dropped its bombs. At some point the plane was hit in the number two engine by flak, according to witnesses in other aircraft. Those same witnesses saw flames and the plane began to lose altitude. The last time that anyone saw Whaley’s plane was near the rendezvous point. Whaley seemed to have control of the plane when last seen, indicating it was still flyable. The plane was slowly dying, however, and Whaley knew it. Back in the rear of the plane, Anderson’s tail guns had been severed from the aircraft by a burst of flak. Senn heard Anderson make a joking remark about it. When asked, Anderson told Senn that he was not injured. As they approached the town of Bebra, Germany Whaley gave the order to bail out. Anderson acknowledged the bail out instructions and was seen jumping out of the aircraft from the tail gun position. In the front, Martin was the first to jump through the nose escape hatch, followed by Schimpf, then Accardi and last, Whaley. Except for Anderson, the remainder of the crew went out through the waist door. Now untended, the B-17 drifted toward the ground. It crashed about one mile east of Bebra in the backyard of a home. The crew except for Anderson, Accardi and Whaley all landed safely in a valley near a small factory. Before they could formulate an escape plan they were all captured together. Whaley and Accardi landed on a hillside west of everyone else. They evaded capture for a few hours but were caught the same day. The crew, minus Anderson, were taken to the local jail in Bebra. While in the jailhouse, they were able to have limited conversations with several French prisoners that were being used in the area as basically slave labor. The French prisoners gave conflicting stories to some of the crew as to the disposition of Anderson. Only one fact seemed to hold true, he was dead. Some of the French said that Anderson’s chute had failed to open. Considering the low altitude when the bail out order was given chute failure was a possibility. However, most of the crew in back of the bird believed that Anderson had been the first out of the plane, which would have put him higher than the rest. All of their chutes had time to open, then why not his? Some of the German guards also said that his parachute failed to open. Whether Senn spoke better French than the rest of the crew is not known, however, the story he got from the French prisoners was drastically different. He was told that Anderson’s legs and arms had been broken in several places and his body was a “gory mess” when they found him. Senn and Anderson had been close and had talked about what they would do if shot down. Initially, they had both agreed that they would try to fight their way out. Some weeks before the last flight, Senn reconsidered the wisdom in fighting against superior odds far behind enemy lines. He had told “Russ” Anderson he had changed his mind. Anderson had stayed with the original plan. On the morning of the flight, Senn stated that “as usual” Anderson was “prepared for anything.” He had on his person an unknown number of weapons and his always-present big knife with brass knuckles in the handle. The knife was attached by a leather braided thong. Long after, Senn would continue to believe that Anderson had attempted to fight his way out and had been killed by the local Germans. When Senn was interrogated at the police station, he was shown Anderson’s knife. He knew without doubt it was Anderson’s. Senn found Anderson’s clothes in the police chief’s office and was able to sneak a quick examination. He could not find any holes that might have indicated Anderson had been hit by some of the German’s that were shooting at the crew while they dangled helplessly below their parachutes in midair. His clothes were covered in blood indicating some form of violent death. What Senn did not see among the items was an unopened parachute. Christensen too was told that Anderson’s chute failed. He also saw Anderson’s knife and clothes. Accardi remembered that Anderson’s bloodstained clothes were given to members of the crew to take with them when they were moved to Frankfurt. Accardi put the blame of the plane’s crash and in turn Anderson death squarely on an inexperienced command pilot. The major had taken the formation over Merseburg when their target had been Lützkendorf. Accardi also claimed that the command pilot had allowed the wrong flight formation and had caused his plane to lose the formation. 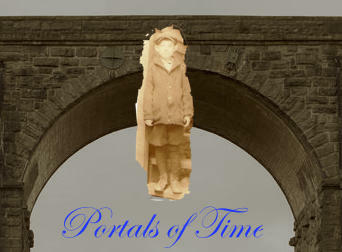 Had it not been for the commander’s “blunders,” as Accardi called them, the tragedy would have never happened. No one else among the crew was bold enough to put that belief in writing. The crew were told that Anderson’s body was buried by the Germans. McCarthy also had a different version of Anderson’s death. He stated that during his time at the Bebra jail he spoke with some of the French forced laborers. They had told him that Anderson was killed by German civilians and his body buried. The condition of Anderson’s clothes was all the proof McCarthy needed. He had seen the clothes and Anderson’s parachute. “I am sure that his chute opened, a layman could see that,” McCarthy later wrote. The nine survivors were moved from Bebra to Frankfurt and then to Stalag Luft One, Barth, Germany. Whaley, Senn, McCarthy and Schimpf were all housed in room six of barrack six, North Three (Block 306). There, they endured hardship and hunger until liberated in May 1945. No further information on the death of Anderson would ever come their way. In January 1949, members of the Anderson family applied for a veteran’s headstone to be placed in the cemetery at Fairy, Texas. For his ultimate sacrifice Russell Anderson received the Purple Heart Medal and other awards for his service. Reuben Lee Anderson passed away in 1955 and is buried in the Fairy Cemetery. Euphia Ann Anderson died in 1989 and is also buried in the Fairy Cemetery. Russell’s only sibling, Thelma Ivy Anderson was two years his junior. Her location and status is unknown. Next → Next post: Battle of Okinawa: A Photographic Experience, 1945.